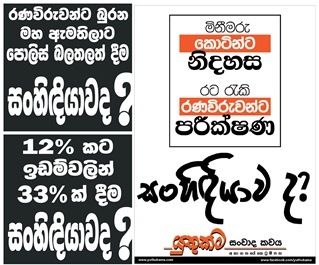 ජිනීවා යෝජනාවේ රට සිංහල ප්‍රදේශ , දෙමළ ප්‍රදේශ ලෙසත් බෙදලා ! 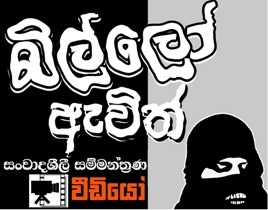 - ජිනීවා පාවාදීමේ අලුත් මානයක් දිනේෂ් පෙන්වා දෙයි. 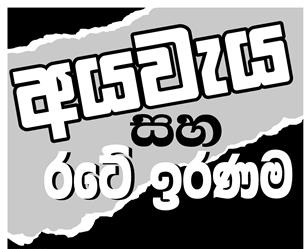 ජිනීවා යෝජනාවේ රට සිංහල ප්‍රදේශ , දෙමළ ප්‍රදේශ ලෙසත් බෙදලා ! 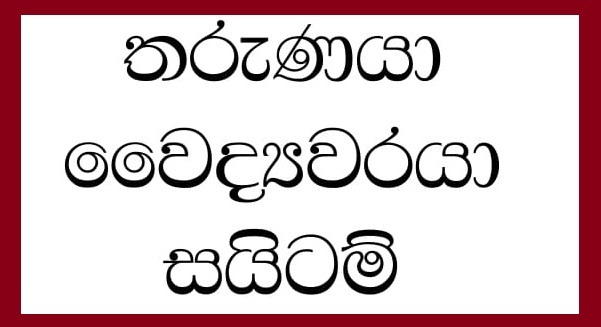 ජිනීවා පාවාදීමේ අලුත් මානයක් දිනේෂ් පෙන්වා දෙයි. 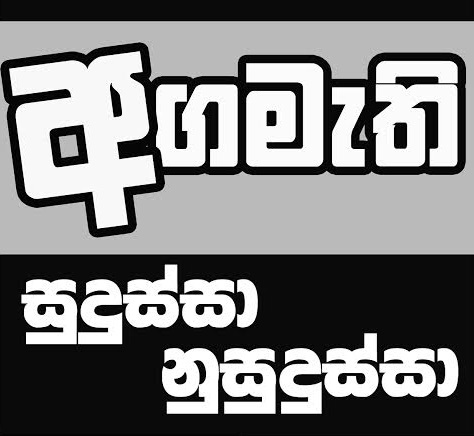 ශ්‍රී ලංකා රජය සම අනුග්‍රහය දැක්වූ මානව හිමිකම් සමුළුවේ ජිනීවා යෝජනාවලිය පිළිබඳ කල්තැබීමේ විවාදයේදී ඒකාබද්ධ විපක්ෂයේ නායක ගරු දිනේෂ් ගුණවර්ධන මහතා දැක්වූ අදහස්.. I move the following motion at adjournment on 2017.06.06. 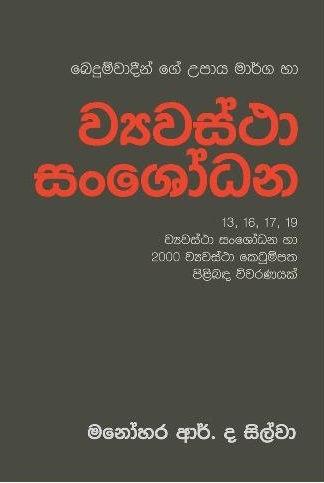 Sri Lanka is a co-sponsor of the United Nations Human Rights Council’s resolution of 23 March 2017, promoting reconciliation, accountability and human right in Sri Lanka – A/HRC/34/L.1. 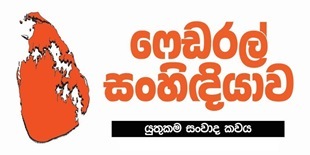 These recommendations are contained in the Report of the Office of the United Nations Commissioner for Human Right on Sri Lanka of 10 February 2017 (A/HRC/34/20). 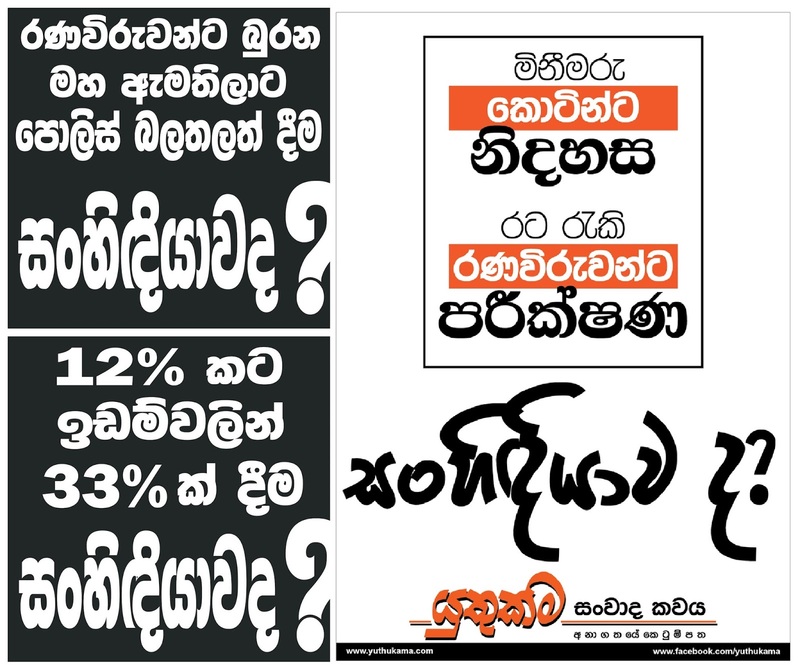 This Report contains criticism of the Government of Sri Lanka, as being incompetent, lacking in transparency, and hypocritical. 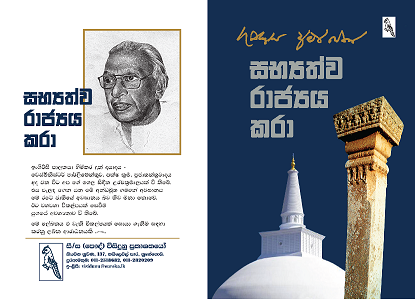 It contains criticism of the Judiciary of Sri Lanka, as of being ethnically prejudiced. It continues to recommend the established of a “hybrid court”, including foreign “judges, defense lawyers, prosecutors and investigators”, despite such a court being in violation of the constitution of this country. 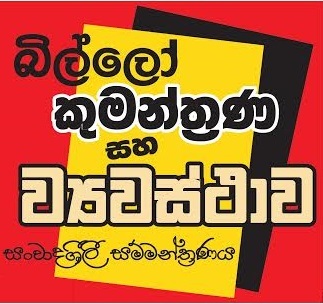 It refers to “Sinhalese Areas” and “Tamil Areas”, thereby causing false ethnic divisions in this country. The Government has failed properly to place the real facts before the UN Human Rights Council. 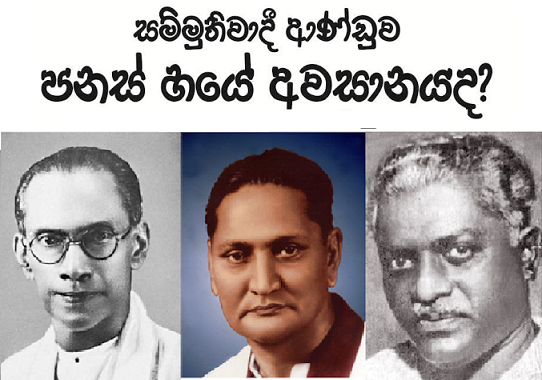 It has failed to counter the High Commissioner’s criticism of the Government and of the judiciary, or to counter its attempts to divide the country along communalist lines. 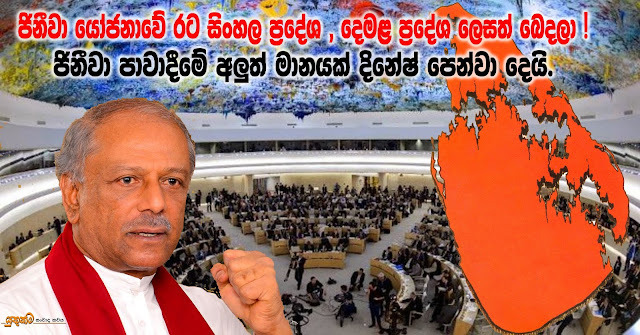 By co-sponsoring this resolution, the Government has endorsed the adverse report of the High Commissioner, and has bound itself to strengthening the role of the Office of the High Commissioner and other mandate holders. It has agreed to the establishment of an unconstitutional “hybrid court” – which the Hon Prime Minister has assured this house would not be established, which was re-affirmed by HE the President. It has failed adequately to defend the war heroes who safeguarded the independence, sovereignty, and territorial integrity and the unitary state of this country and the safety of its people by defeating the separatist terrorists. 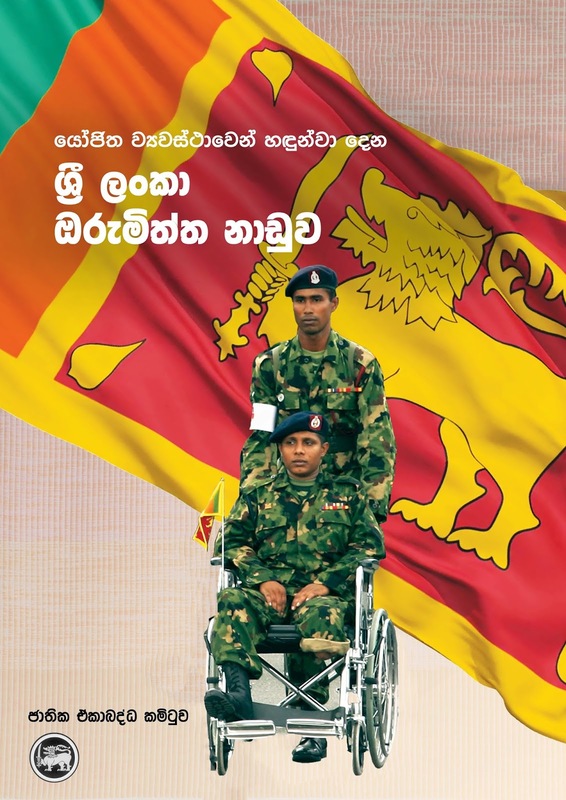 that the biased report of the office of the United Nations Commissioner for Human Rights on Sri Lanka of 10 February 2017 be repudiated, and that the United Nations Human Rights Council’s biased resolution of 23 March 2017 on Sri Lanka be repudiated, and that positive action be taken to defend the war heroes and the independence, sovereignty, territorial integrity, unitary state, and the constitution of this country and the safety of its people.